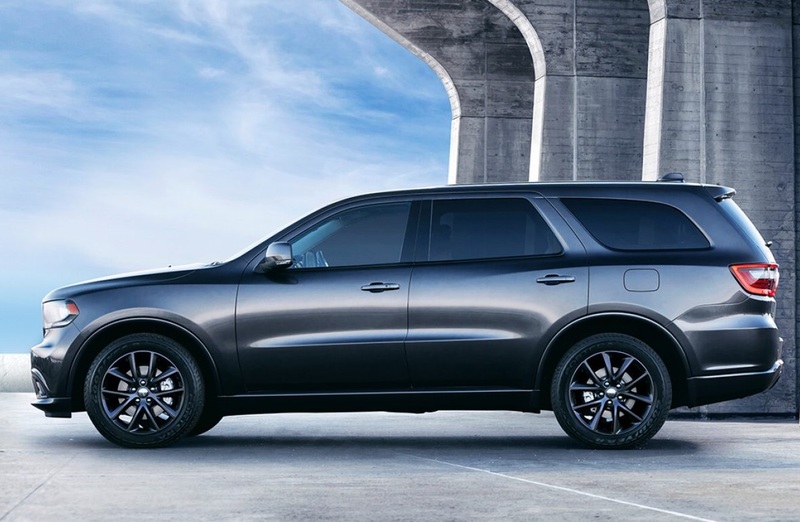 The 2018 Dodge Durango is designed to provide a comfortable ride for up to seven people. This mid-size Sport Utility Vehicle (SUV) has a starting price of slightly more than $29,000. The 2018 Ford Explorer is a mid-size SUV that also has enough space for up to seven occupants. Both vehicles roll on all-wheel drive (AWD) and all-terrain tires. 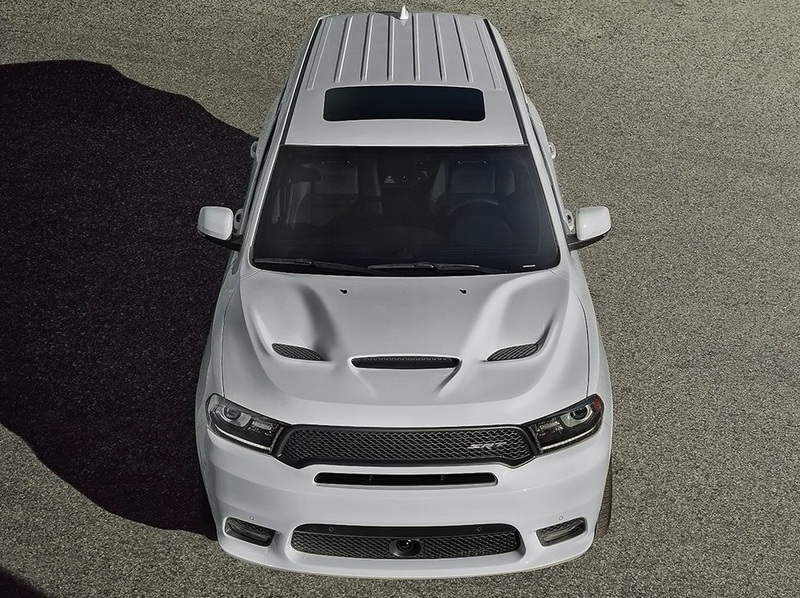 Under the hood, the Durango has much stronger capabilities according to universal measurements. The signature HEMI engines clearly overpower the Explorer's turbocharged EcoBoost engines. When looking at the 2018 Dodge Durango vs 2018 Ford Explorer, it's also important to analyze digital technology. Thanks to the Uconnect 4C system, this Dodge has a definitive edge over the Explorer in connectivity. The exterior paint options for the Durango include Octane Red, Blu By You, DD Black Crystal and Granite Metallic. These colors could be paired with 20-inch wheels that are available with various aluminum finishes. The 2018 Durango is available with two AWD systems that maximize traction and improve overall handling. Featuring two speeds, the On-Demand transfer case delivers the correct amount of torque to the axles based on real-time conditions. A single-speed transfer case is also available for simple changes between 4x4 drive and 2WD. The eight-speed automatic transmission system in this Dodge SUV is available in two versions. An all-new T-Shifter makes it easy to change gears according to your preference. A heating system is available for the dynamic transmission system in this versatile model. Thanks to the Sport Mode, you'll easily control the steering system of the agile Durango. Select trims could be fitted with high-performance brakes that are designed by Brembo. If you're seeking heavy-duty performance, then get an alternator that's rated at 220 peak amps. Some models could be equipped with a 700-amp battery that has a maintenance-free design. Drivers in Albuquerque New Mexico should do other Durango VS Explorer comparisons to determine the clear winner in handling. For example, this Dodge SUV comes with a conventional differential axle that rolls smoothly in tough conditions. An engine oil cooler significantly extends the life of the powertrain. You could also get a high-speed engine controller to keep the tachometer stable. The 4WD system in the Durango is available with the patented Quadra-Trac Active technology, which is virtually unrivaled on the American market. For an entry-level installation, the 3.6 L V6 Pentastar engine in the 2018 Dodge Durango has impressive capabilities. You could extract up to 295 horsepower from this award-winning, six-cylinder engine that runs on the classic variable valve timing (VVT) technology. The legendary HEMI badge is displayed on the 5.7 L V8 engine, which also runs on the VVT function. You'll get up to 360 hp and 390 lb-ft of torque from this eight-cylinder engine. Interestingly, this powerful engine block is managed by the Fuel Saver technology. If you're seeking a lot more output, then get the 6.4 L V8 engine that also wears the HEMI badge. When it's pushed to maximum levels, this robust powertrain whips out 475 hp and 470 lb-ft. Available in select 2018 Ford Explorer trims, the 3.5 L EcoBoost engine delivers a peak output of 365 hp. This turbocharged V6 engine has a top torque rating of 350 lb-ft. Customers in Albuquerque New Mexico should also do a comparison between the HEMI engines VS the Explorer's Ti-VCT engine, which can't produce more than 290 hp and 255 lb-ft. Depending on its configuration under the hood, the 2018 Durango could tow a load of 8,700 pounds. You won't be able to tow more than 5,000 pounds with the Explorer. Additionally, this Dodge SUV has the Trailer Sway Control function that applies the appropriate braking pressure when there's some instability in the wheels. A 50/50 weight distribution also gives the Durango remarkable stability on the road. When you take a seat inside the 2018 Durango, you'll see an 8.4-inch touch screen that comes with the latest digital connectivity. The updated Uconnect 4C NAV infotainment system includes a sophisticated GPS navigation platform that has multi-dimensional views of maps and terrains. A one-year subscription to SiriusXM Guardian gives you extra reassurance on the road. You can also sign up for Travel Link and Traffic services by SiriusXM. 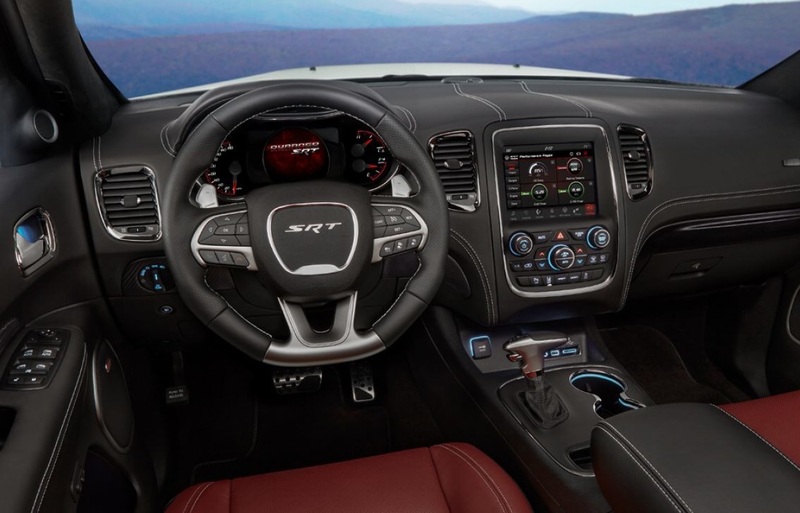 If you're curious about the smartphone connectivity in this Dodge SUV, then you'll love the Apple CarPlay and Android Auto compatibility. Of course, conventional Bluetooth technology is readily available in the infotainment system. Powered by the BeatsAudio technology, the Durango's sound system includes a total of nine speakers. Operating on nine different channels, the amplifier releases just more than 500 acoustic watts. HD Radio and SiriusXM Satellite Radio are some of the premier music channels that you could enjoy in the Durango. This SUV also offers dual 9.0-inch screens that are mounted on the backs of the front seats. These high-resolution monitors play TV shows, movies and graphics from video games. The 2018 Explorer has Ford's signature 8.0-inch SYNC infotainment system that comes with a handful of apps. However, the Uconnect 4C console offers more high-tech utilities than the SYNC portal. As an Albuquerque dealership, Melloy Dodge will also emphasize the Durango's Keyless Enter 'N Go technology. Do you want to conduct a 2018 Dodge Durango vs 2018 Ford Explorer comparison? Then contact our Albuquerque dealership today. Melloy Dodge is proud to offer test drives in the SXT, GT, Citadel, R/T and other popular editions.